We believe kids have a right to enjoy and learn from the outdoors. Studies show that children who regularly play outside, and play in nature, are healthier and better equipped for life. This philosophy guides the education programs for our young people. Because we have many like-minded members and donors, ABF is able to change the lives of thousands of children every year. Camp Borrego brings 5th graders from disadvantaged schools in San Diego and Imperial Counties to Anza-Borrego Desert State Park for a 3-day, 2-night outdoor education experience. 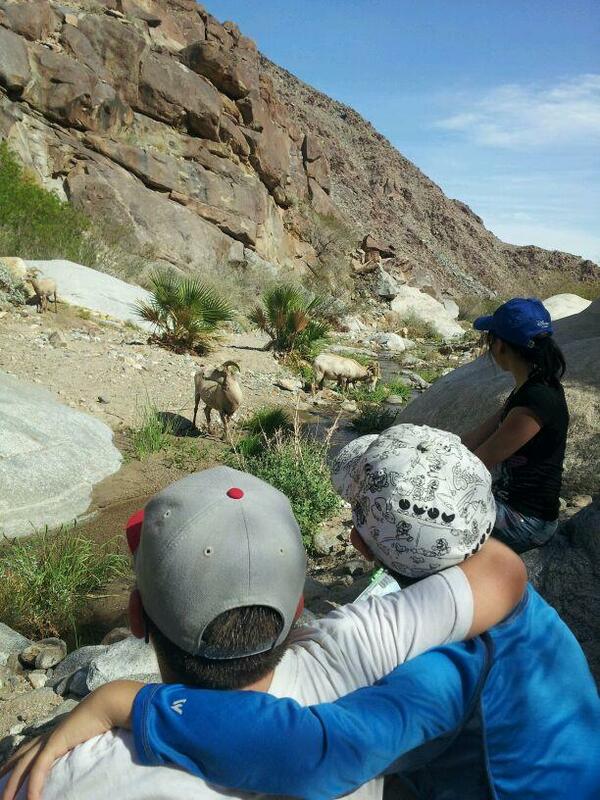 Campers sleep under the stars, hike in the Park and learn about the natural and cultural history of this region. Learn more about Camp Borrego. PORTS (Parks Online Resources for Teachers and Students) For students who cannot travel to Anza-Borrego Desert State Park, PORTS brings the Park right to their classrooms! 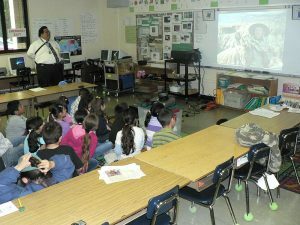 Through live, videoconferencing technology, more than 8,500 students per year take a “virtual fieldtrip” to Anza-Borrego where they learn about geology and paleontology from a park ranger. Learn more about PORTS.